Deutsche Grammophon (DG) was founded by Emil Berliner in 1897 and is widely acknowledged as the most prestigious of all classical music labels. The label remains committed to artistic excellence and the current roster of artists boasts many of the world's most brilliant talents such as Bryn Terfel, Anne-Sophie Mutter, Krystian Zimerman, Claudio Abbado, Placido Domingo, Valery Gergiev, Magdalena Kozena, Anna Netrebko and Rolando Villazon. The catalogue also features some of the finest artists in the history of recorded music, legendary figures such as Leonard Bernstein, Vladimir Horowitz and Herbert von Karajan. Clarinettist Andreas Ottensamer talks to David about his new album of Romantic clarinet works, with Yuja Wang and the Berliner Philharmoniker. 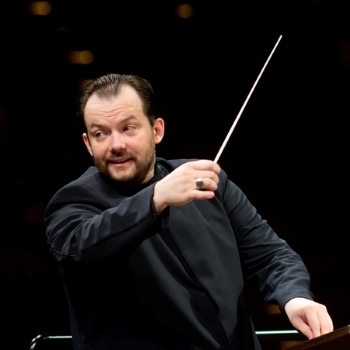 Andris Nelsons continues his Shostakovich series with the Boston Symphony Orchestra, with thrillingly detailed accounts of the Sixth and Seventh symphonies.